You might remember that a couple of years ago, we discovered the East Coast Greenway and wondered what it would be like to take the full 93 mile New Jersey portion. Well, we recently checked out the northernmost portion from the George Washington Bridge down a few miles along Bergen County's busy River Road. Due to Fort Lee's notoriously bad parking situation, we started the walk in Edgewater, with monk parakeets coasting and squawking overhead. As we threaded our way along sidewalks and narrow dirt paths, we noticed a blue historic marker just off the road alongside the driveway for the American Legion. The title alone - Vriessendael - transported us from the frenetic traffic of 21st century North Jersey to the peaceful woods of the 17th century wilderness of New Netherland. 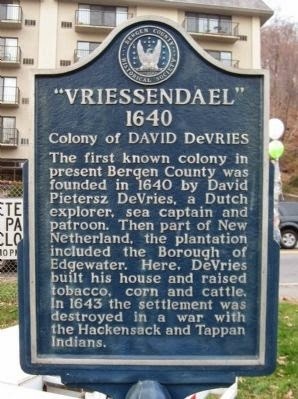 We'd stumbled on the first known European-settled colony of what's now Bergen County. Before we get into the Vriessendael connection, a little background is in order. Contrary to what most folks commonly believe, it wasn't the English who originally settled in what's now New Jersey. It was traders from the Netherlands, who arrived in 1624 as representatives of the Dutch West India Company. And unlike the English who'd originally come to the New World for religious reasons, the Dutch were primarily here to establish commerce and enlarge their sphere of trade. You could probably say that at its roots, New York was America's first company town. Rather than having elected government or a religious leader, New Amsterdam, as it was called, was managed by the company, with a director essentially serving as the branch manager. After discovering the vast riches of beaver pelts, lumber and other natural resources to be had, the Dutch established trade with the local Lenape tribes, who were largely willing to do business. Thus was begun a complex, sometimes wary yet mutually-beneficial relationship between the newcomers and the natives. A few years after setting up shop on Manhattan, the company started to present patroonships, or land grants, to its invested members as a way of encouraging settlement and building the colony's population. Like lords in the old English system, patroons had the right to hold their land in perpetuity in return for establishing the settlement (in the Dutch case, a minimum of 50 families within four years of the start of the colony). To ensure a civilized and orderly community, the patroon could appoint government officials and establish civil and criminal courts. Settlers were considered tenants of the patroon, working for him and paying tribute in the form of money, goods or services. Sea captain and trader David deVries was among the patroons. As early as 1632, he established an initial but ultimately unsuccessful patroonship in present-day Delaware. Next, he tried a location in Staten Island, but became the unwitting victim of what might be termed a poor corporate takeover, attempted by a bad manager. Willem Kieft, the new director of the New Netherland colony, was getting heat from company leadership in Amsterdam. Like today's corporate leaders, they were looking to cut costs for the colony, mostly in the form of security (the army in place to protect the colony), and in the payments the West Indies Company made to the native tribes for rights to use the land. And true to what we see in modern corporate America, Kieft came up with a less-than optimal plan to appease the home office. Only problem was, it wasn't going to fly locally. First, against advice from folks who'd been in Manhattan much longer than he had, the striving director attempted to collect financial tribute from tribal chiefs. When they turned him down outright, Kieft attempted to get his way by accusing the Indians of theft and then sending soldiers to Staten Island to retaliate. The supposed theft? Pigs from David de Vries' patroonship. Angry natives then retaliated by raiding the property, burning down de Vries' house and killing four of his employees. Kieft had set a pretty nasty precedent, antagonizing the Indians who vastly outnumbered the Europeans. As he became increasingly more bellicose, de Vries and others attempted to dissuade him from continuing hostilities, all to no avail. The Indians had been their friends for many years before Kieft had arrived in the colony, and many of the longtime settlers, including de Vries, started calling for the director's removal. Through this time, de Vries forged ahead with his plans to create yet another patroonship, this time on the shores of the Hudson at present-day Edgewater. Vriessendael was established in 1640, as a plantation of corn and tobacco fields with the requisite accommodations for additional settlers. It lasted for three years, finally succumbing to one of the repeated warring disputes between Kieft's forces and the Lenape. Finally thoroughly disgusted with the colony's leadership and Kieft's treatment of the Indians, de Vries left for Holland in 1643, never to return to New Netherlands. As for Kieft, he somehow lasted another four years before being fired by the Dutch West Indies Company. His bosses didn't even get a chance to call him out on the carpet: he died in a shipwreck on the way back to Holland to defend himself. I think we can be pretty well assured that our future jaunts on the East Coast Greenway will uncover several more stories of New Jersey's past. Hopefully they'll be a bit happier for the folks involved. For a more comprehensive history of the New Netherlands colony, I strongly recommend Russell Shorto's The Island at the Center of the World. Though it only mentions New Jersey's Dutch settlements in passing, it's a fascinating, thought-provoking work. 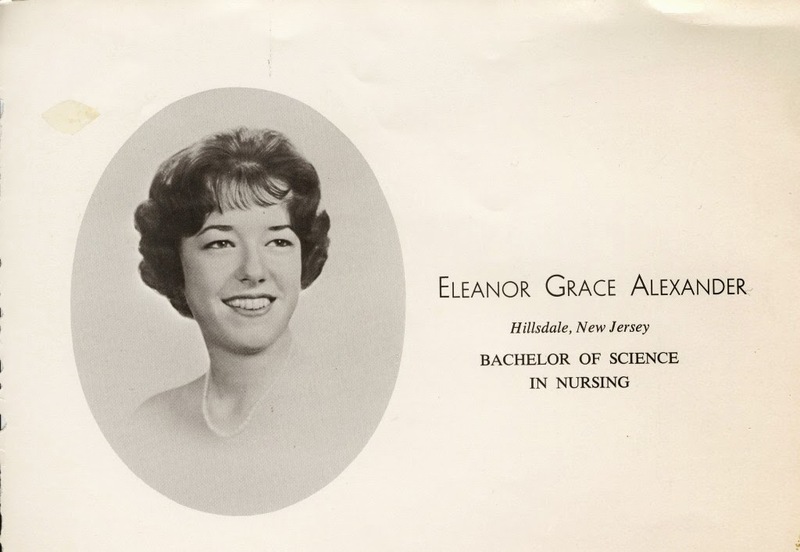 Researching New Jersey history, I'm often fascinated to find the stories of individuals who, while massively influential in their time, have faded back into obscurity. Maybe they're still talked of regionally, their stories well known in local history, but no longer with the same degree of reverence or scorn as in their day. One I discovered recently is said to have created what the New York Times of his time described as "New Jersey's darkest disgrace, the most cancerous growth on all her territory. Here every vice is licensed and all that is worst in man or woman is catered to by a horde of men who have lost all that is born in them of decency and of honor and chastity, of all the attributes that make man higher than the beast." Who was this man, once so reviled but now anonymous? Billy Thompson, or, to his 19th century contemporaries, the Duke of Gloucester. Long time readers might remember him as the politically connected entrepreneur who sold his Gloucester City mansion and property to the U.S. Government for a new Philadelphia immigration station. Thompson immigrated to New York at the age of 13 during the depths of the Irish Famine, seeking to forge his own version of the American dream. After a short stint in Boston, he returned to New York and then moved southwest to Philadelphia. A job in the billiards room of the city's Continental Hotel soon evolved into restaurant management and bartending, allowing him to build hospitality and people skills that would serve him well throughout his life. Apparently, it's also where he gained a sharp political sense from the well-connected men who frequented the bars. Across the Delaware, Gloucester City was already a well-known resort, judged in some eyes as a poor man's Atlantic City. Envisioning the location's greater potential, Thompson leased the Buena Vista Hotel in 1870, developing it into one of the city's most popular inns among politicians and other celebrities. When the owners refused to renew his lease two years later, he simply bought an adjacent plot of land and built his own hotel. One could say that Thompson's success was fishy from the start. The Delaware being an abundant fishery, the Buena Vista was well known for its planked shad dinners. Again seeing an opportunity, Thompson leased the city's shad farms and bought up about three and a half miles of the coastline along the river. And when the Philadelphia ferry companies refused to extend their hours to accommodate the growing numbers of customers frequenting the Thompson Hotel and restaurant, the entrepreneur bought his own ferries. His 24 hour service proved so popular that it the older company went bankrupt, enabling Thompson to buy controlling interest in it, too. To address the visitors coming by land, he also built his own railroad. Gloucester City was soon filled with pool halls, drinking establishments and "bawdy" houses, sounding a bit like a 19th century Las Vegas. Not surprisingly, Thompson's growing wealth and success, combined with shrewd people skills, translated to political might. Serving for many years as a city councilman and county freeholder, the Duke of Gloucester became was the most powerful Democrat in New Jersey. Though he was elected to only two terms in the state assembly, he was said to control the legislature from his Gloucester City base. The most blatant of Thompson's self-serving legislative ventures was the legalization of open gambling, first and foremost to benefit a racetrack on his Gloucester City property. In a classic New Jersey political coincidence, the speaker of the assembly was to be the starter at the track, which likely would have helped Thompson override the governor's veto had most of the Trenton legislators not already been in the Duke's pocket. 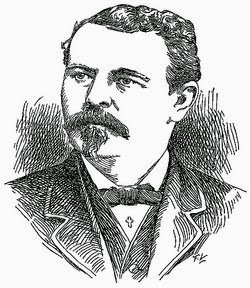 By 1890, with the law bent to his will, Thompson used his track to rake in money in just about every way possible. People rode his trains and ferries to Gloucester to stay in his hotel, many of them Philadelphians who flocked across the river to escape their city's restrictive Sunday blue laws. They ate at his restaurant and placed wagers at his track with bookies who paid him sizable daily tributes to take bets. He created a massive local economy in which he was the largest beneficiary by far, and his customers could see it in the form of "Thompson's Castle," the riverfront mansion he built for himself, his wife and 10 children. The impact of his success didn't go unnoticed, particularly by the strong temperance forces monitoring the excesses of vice and sin on riverbanks. In its scathing assessment of Thompson's excesses, the Times quoted a man who'd been found guilty of stealing from his employer to finance his visits to Gloucester City: "The money for the stolen goods, all I could earn and $60,000 of my wife's money have all gone to pay for Billy Thompson's castle on the Delaware!" Within five years, sentiment changed in Trenton and gambling was, once again, outlawed in New Jersey. Undeterred, Thompson announced a new, more wholesome attraction for pleasure seekers. He purchased a 900 acre tract of land on Fancy Hill in present day Westville, just down river from Gloucester City, and promised to build a temperance park where churches and religious societies could enjoy all manners of outdoor activities. As in his previous ventures, he arranged for boats to bring Philadelphians to the park and built a rail line from Camden. Washington Park, as it was called, held just about every kind of wholesome amusement available at the time. In addition to one of the largest Ferris wheels in the country, several carousels and a four-story tall slide/flume ride were there to ride, and several ball fields were available for athletes to play on. Picnic groves and restaurants satisfied hungry park-goers, and at night, fireworks and a light show entertained those who hadn't yet had enough. Tens of thousands of children flocked to the park on designated days when they could enter at no charge. The park burned to the ground in a 1909 fire, but Thompson rebuilt it, no doubt feeling that he'd finally having found a socially acceptable way to get people to part with their money. By then, though, he'd lost a good bit of his political power along with his wealth and, to some degree, his health. Well into his 70s, he died in Belfast, Ireland, on a 1911 trip back to his birthplace. Escorted to his final resting place by what's said to be one of the city's longest funeral processions ever, Thompson was buried in Gloucester City's Old St. Mary Cemetery. Finding Billy Thompson today is a bit of a challenge for researchers. Local historians know his name and story -- a good part of Gloucester City's history centers on his works -- but locating information about him anywhere else takes time and patience. For all of his influence, I was surprised to see he didn't even warrant an entry in the Encyclopedia of New Jersey. It all gets you thinking: the names and machinations of all of our influential contemporaries, so powerful now, could and probably will eventually be lost to time, only to be unearthed by curious New Jerseyans of the future. Ashes to ashes... We all end up the same, high and mighty or obscure and humble. Living in New Jersey sometimes means loving things that other people just don't get. Like why, when the Manhattan skyline hovers temptingly on the horizon, someone would prefer to spend the day in a swamp. Especially when it's July, the traditional mosquito season. Thing is, if you happen to be poking around the edges of Secaucus, you'll find some pretty amazing scenery that's remarkably free of the flying, stinging pests. Who knew? We've waxed poetic about the Hackensack River before. We even reported on an amazing ecocruise with the Hackensack Riverkeeper, where we saw everything from Bald eagles and Peregrine falcons to Forster's terns and Yellow-crowned night herons. 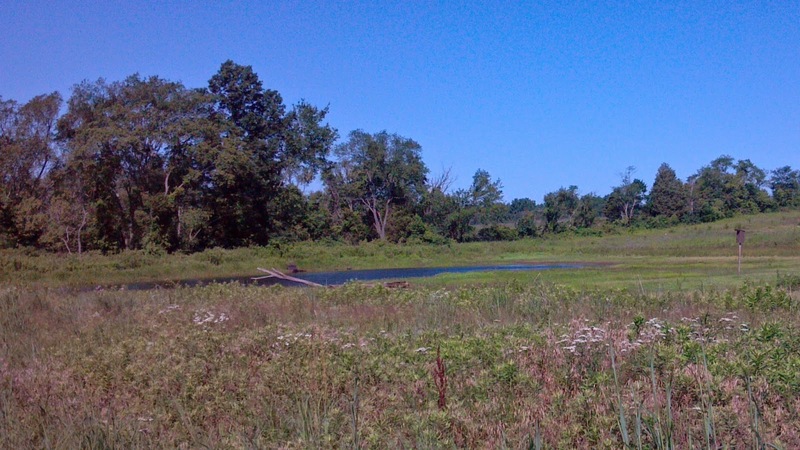 A couple of years ago we reported on the Mill Creek Marsh, a wonder of nature hard against the New Jersey Turnpike and the Mill Creek Mall at Harmon Meadow (incidentally, probably the only development in the state that took the name of a natural site without totally obliterating its namesake). One place we hadn't yet checked out was just a short gull's flight away. Mill Creek Point Park. 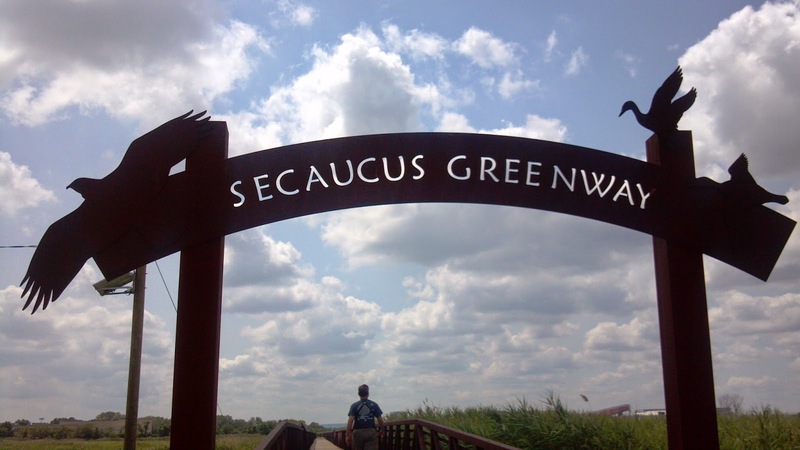 It's maybe a ten minute drive from Mill Creek Marsh for us humans, threading through tightly-packed neighborhoods, past the Secaucus town pool and along a phragmites-lined drive to a quiet, well-tended brick pathway along the waterside. Decorative fences are festooned with silhouettes of birds common to the surrounding area, and an active recreation area features plenty of nature-themed features for kids to climb on, along with educational signs describing various animals, bugs and plants. True to its name, Mill Creek Point was once home to an active tidal sawmill, one of several that dotted the Hackensack River in the 1800s. Each had a dam and sluice system that would trap water at high tide and then release it at low tide to power the mill. In the 20th century, the park site was home to a restaurant that eventually closed in 1986, perhaps the origin of the remnants of concrete still evident by the old pilings near the water's edge. Cormorants and terns perched on wooden pole tops as we tried to reason it out, perhaps keeping an eye out for the bass and other fish frequenting the river and creek. Past the brick and playground equipment is where the really beautiful part starts. 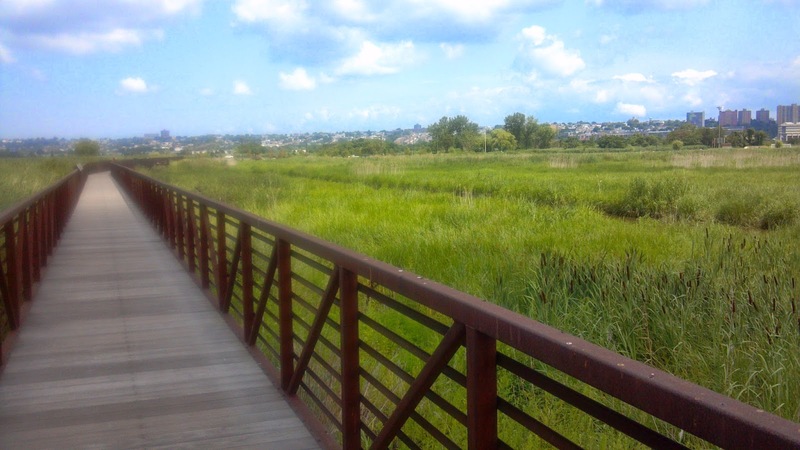 A well-maintained boardwalk leads strollers onto the Secaucus Greenway, where you almost feel as if you're being transported over a carpet of marsh grasses. As we walked along, enjoying a bug-free July afternoon, we heard more than our share of Marsh wrens calling loudly not far from the path. Even better, a few graced us with some extremely good views, a real treat considering how painfully elusive I've found them to be in my birding. Take a look around as you walk the boards, and you'll see just how close you are to civilization, yet still far away in some respects. The Meadowlands Sports Complex looms to the west and across the river, while the view to the east includes the building-filled rise of North Bergen and, peeking through in places, New York skyscrapers. Somehow it makes this expansive patch of nature all the more valuable, and prized. As we were strolling along, drinking it in, a pair of bicyclists stopped to ask whether we'd seen any interesting birds, always a conversation starter when you walk around with binoculars. Feeling rather responsible for promoting the Meadowlands, we rattled off the roster of familiar birds we'd sighted in Secaucus on this trip and others, though a lot of them had been absent that day. I don't think I'll ever get over the looks of surprise and pleasure that register on people's faces when they learn how varied and abundant life is in a corner of the world they'd never considered to be all that remarkable. Hidden New Jersey: Wild Kingdom. It has a nice ring to it, don't you think? 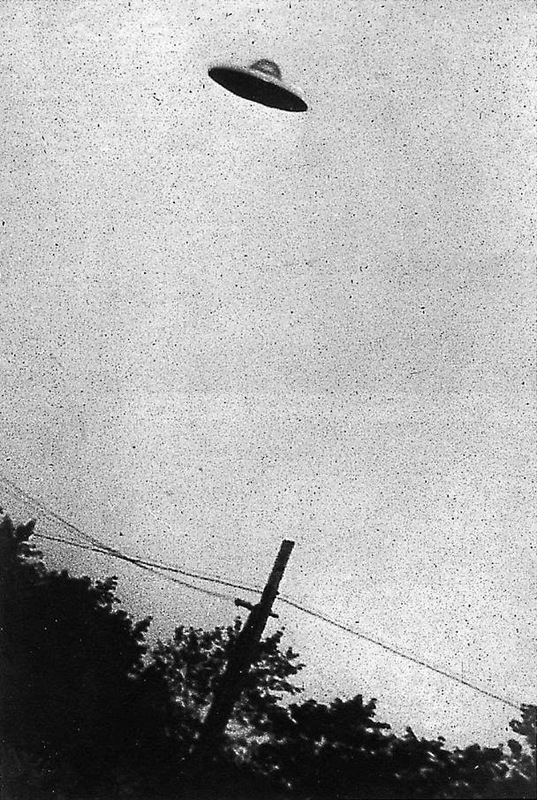 In a history-making event that garnered virtually no media attention, flying saucers hovered just feet above the ground on Rutgers University's New Brunswick campus one Monday afternoon in the fall of 1972. No, the flying saucers weren't of the "take me to your leader" variety, and their appearance on the Banks on November 6 was entirely planned by terrestrial beings. The hovering craft we're referring to are the rimmed plastic platters better known as Frisbees or, more generically, flying discs, and they were making their debut in college competition. Sprinting that day almost literally in the footsteps of their forebears of more than a century before, Rutgers and Princeton students added Ultimate Frisbee to the rivalry between the two old schools. That's not to say that Frisbees themselves were a rare sight on campus. The link between college students and flying discs was forged in the 1940s, when Yale undergrads discovered that tins from the nearby Frisbie* Pie Company would sail a good distance when thrown a certain way. By the late '60s, Wham-O was selling plastic discs by the millions, and sailing one from person to person had become the perfect low-key campus activity. It took some enterprising New Jersey teenagers to turn the toss of a disc from a casual pastime between friends into a competitive sport. Ultimate frisbee combines aspects of football, basketball and soccer, with two teams of seven playing on a field about the size of a football gridiron. The World Flying Disc Federation attributes the start of competitive ultimate to a student at Maplewood's Columbia High School, who proposed the game to the student council in 1968. Rules were written, a playing field was determined and two years later Columbia and Millburn High Schools competed in the first interscholastic game. That brings us to the fateful day on the parking lot behind Rutgers' College Avenue Gym in New Brunswick, not coincidentally the birthplace of college football. By November 6, 1972, the historic field had been paved over but still retained enough favorable qualities to host the first intercollegiate ultimate disc game. Echoing the outcome of the schools' first history-making meeting in 1869, Rutgers won by two goals, though the 29-27 score was significantly higher than the original 6-4 football game. The Scarlet Knights continued their dominance as competitive ultimate spread to other colleges, winning the first National Collegiate Championships in 1975 and the successor National Ultimate Frisbee Championship in 1976. Both universities continue to field both men's and women's ultimate teams, as do several other colleges around the state. Consistent with the laid-back nature of the ultimate culture, Rutgers fields a competitive men's A team while welcoming students of any skill to play on a B team without having to try out. There's no expectation or pressure on team members to develop (or want to develop) the skills that would enable them to play on the A level. It's all cool. *That's not a typo. The bakery name was really spelled "Frisbie." Wham-O changed the spelling to avoid copyright infringement. The 210th anniversary of the Alexander Hamilton/Aaron Burr duel on July 11 got me thinking about other controversial and politically ambitious figures in New Jersey history, which led me to Hugh Judson Kilpatrick. You might remember him. A few years ago we stumbled on a sign marking his old Sussex County farm, the site of the first Civil War reenactment. Well, he didn’t see it quite that way. For him, it was the big party he held pretty much to burnish his reputation. In the time since we ran a brief story on the reenactment, I’ve done more reading on Kilpatrick and the event, and what I’ve learned only makes him more interesting. He didn't shoot the Secretary of the Treasury as Burr did, or allegedly plot to take over the western territory of the U.S. (yup, Burr again), but he was a, well, interesting guy. The Deckertown-native Kilpatrick seems to have been born with political motivations already intact. After successfully lobbying his district’s Congressional representative for an appointment to the U.S. Military Academy, he entered West Point as the first step on a planned path to the presidency, with interim stops at the governorship of New Jersey and both houses of Congress. But rather than channeling his energy toward achievements that would benefit his future constituents, he chose to maneuver his way up via the proverbial smoke-filled room. The ever ambitious Hugh Judson Kilpatrick. His timing couldn’t have been better. Graduating from West Point just after the start of the Civil War, he was commissioned as a second lieutenant but was quickly promoted to captain in the 5th New York Infantry. 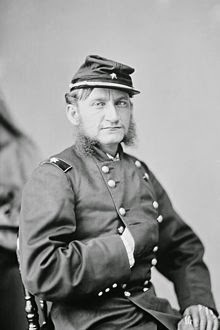 He somehow managed to become the first United States Army officer to be wounded in the war, getting hit in the leg during the Battle of Big Bethel. As the war continued, he continued to maneuver up the ranks, becoming lieutenant colonel of the 2nd New York Cavalry and eventually rising to major general. He might have had friends in the right places looking out for him, but he neglected to earn much respect from his colleagues or subordinates. In fact, many historians note that his ambition severely outweighed his skill and good sense. He was widely reviled for his role in a botched raid on Confederate prisons in which Union prisoners of war were being held; as a result General Ulysses Grant relieved him of a portion of his command duties, leading to a long-term grudge. His men called him “Kill Cavalry” for the recklessness in which he led them into near-suicidal battle maneuvers, leading to unnecessarily high casualty counts. Strategy and tactical deployment were one thing. Personal conduct was another, and Kilpatrick distinguished himself there, too. He was actually tossed into jail a couple of times during the war for soliciting bribes and illegally selling confiscated property. And his poorly-run camps attracted prostitutes whom Kilpatrick himself was reported to have visited with some regularity. He’s described by Civil War historians as egocentric, arrogant, untruthful, unreliable, disloyal to presumed friends – all in the service of ambition. Shakespeare couldn’t have written a better villain. Required military service in hand, Kilpatrick returned to New Jersey after the war, unsuccessfully ran for governor and maneuvered the loss into an ambassadorship to Chile under President Andrew Johnson. He was recalled five years later under President Grant and, on his return to the U.S. took to the lecture circuit to defame Grant as an alcoholic and worse. Rumors to that effect had long been swirling around Grant, but you have to wonder if anyone but the most ardent supporter of the president gave much credence to Kilpatrick’s gripes, given his own rather sullied reputation. Political ambitions still burning, Kilpatrick dreamed up a grand scheme to raise a groundswell of support while surrounding himself with adoring luminaries. What better way than with patriotic fervor? In June 1878 he announced that he’d invited 40 New Jersey posts of the Grand Army of the Republic to his Sussex County farm for a three day celebration of veterans’ service to the nation. The GAR was the American Legion of its day for Union veterans of the Civil War and a powerful force in national politics. The announcement in the New York Times said the event would include an encampment with strict military discipline and sham battles, with visits from luminaries including President Rutherford B. Hayes, New Jersey Governor (and former Union General) George McClellan, and Generals William T. Sherman and Phil Sheridan. Veterans’ family members would be entertained with games of chance, fireworks and a play written by Kilpatrick himself. He strongly emphasized that he was charging no admission fee and that he was building an aqueduct system to provide an ample supply of water to a camp area where visitors could pitch their own tents at no charge. And to quell the fears of anyone who might be concerned about crime, Kilpatrick promised that sheriff’s deputies and detectives would patrol the camp to ensure that pickpockets and ‘base women’ would be discouraged from plying their respective trades. While some sources state that Kilpatrick “treated” his guests to a grand event, the opposite is true. Despite being one of the wealthiest men in the area, he sought and got the support of his neighbors in running the event, even soliciting donations as he arranged for New York vendors to sell food (negotiating a cut of the profits for himself). From an attendance perspective, the event was a great success from the moment it began on August 25, 1878. Five trains a day brought 400 passengers each to Deckertown, and many more came by foot or on horse. An estimated 4000 were actual veterans, with the remaining 36,000 visitors being a combination of family members, curiosity seekers and, despite Kilpatrick’s assertions, the criminal element. On the positive side, they got the fireworks, sham battles, food vendors and games of chance they’d been promised. On the other hand, carpenters were still working on the grandstands when the guests arrived, and the promised water supply broke down early in the encampment, forcing thirsty vets to purchase beer from the 10,000 kegs on hand. And despite the promise of a family environment, a tent pitched in a distant yet accessible area was reportedly doing a fair amount of business as a brothel. Kilpatrick had overpromised on the dignitaries, too. President Hayes skipped the event, as did General Sherman, though Major General Dan Sickles, a colorful personality in his own right, came to show his support. Did the campaign stunt work for Kilpatrick? Folks might have had a great time, but it didn’t help their host’s political standing. He took his name out of consideration for the Republican nomination for the district’s House seat in 1878 and subsequently lost his bid for the seat in the 1880 election. As consolation, President James Garfield reappointed him envoy to Chile, where Kilpatrick died of nephritis in 1881. 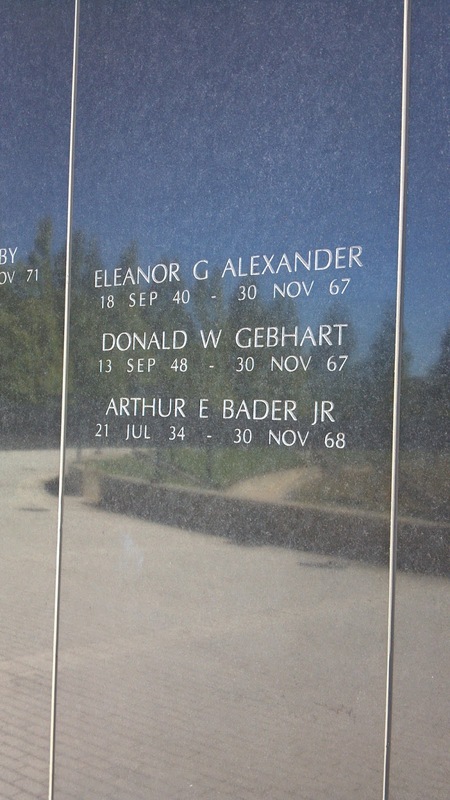 His remains were returned to the United States six years later for reinterment at West Point. Arrogant, overconfident and blindly ambitious as he was, Kilpatrick inadvertently introduced New Jersey and perhaps the nation to a new tradition that persists today. The military re-enactment has evolved from a political stunt and carnival to an opportunity for those with no war experience to get a firsthand view into the lives of everyday foot soldiers in the field (sometimes incredibly accurate, sometimes not so much). Does that make up for his litany of shortcomings, blunders and unnecessary sacrifice of subordinates? No, but as they say, it’s a truly ill wind that blows no good. Birding has taken a back seat for us over the past couple of weekends, given the usual summer lull enforced by avian behavior. After warbling and chirping their hearts out looking for mates, songbirds have been spending most of their time on the nest, collecting food and raising their young, leaving their human admirers to wait for the fast-approaching southbound shorebird migration. The fields and pond at Negri-Nepote. Even with that reality facing us, if we try hard enough there's always the possibility of locating birds that have somehow evaded us up until this point in the year. Thus, Ivan and I decided to make a return visit to Negri-Nepote Native Grassland Preserve in Franklin Township, Somerset County to find Grasshopper sparrows. Consistent with their name, members of this species make a buzzy, insect-like sound and nest in meadows, pastures and other expanses where grasses provide sufficient cover. Given how much of that kind of habitat has been lost to development in the state, the Grasshopper sparrow is considered threatened as a breeding species in New Jersey. According to the online eBird tool, other birders had seen them at Negri-Nepote recently, creating one of our best chances to see them this year. This particular spot is especially nice, given that it's on a narrow road and you have to drive past the Trojan cow farm to get there. That said, it's been a while since we've been to Negri-Nepote. Longtime readers might remember our original visit to this former farm turned sanctuary, when we failed to find the reported Dickcissels but harvested a bumper crop of ticks for our troubles. We hoped our luck would be different this time: more of our sought bird and no pesky blood-sucking arachnids. We arrived to find we were apparently the only humans to consider a visit on what was setting up to be a glorious day. Seemingly the only birds on the wing that morning, Tree swallows zoomed and swerved overhead and past us as we walked along the perimeter of the field. If the sparrows were there, they weren't saying much. Then we noticed something a bit bigger jetting around with what seemed to be more purpose: an American kestrel. Well, actually two American kestrels, with more apparently in the works. We watched as the small raptor (a.k.a. the sparrow hawk) zoomed back to a nest box planted on a pole near the center of the preserve, a few yards from a pond that looks rather like a big puddle. Not long afterward, she was back outside, aloft and looking for a meal as she was hassled by a Red-winged blackbird. Ignoring the aspiring tormentor, the kestrel perched on a power line stretched across the field, perhaps watching and waiting for suitable prey to pass below. Kestrels are always a treat to see, not only because of their awesome flight abilities, but because they're on the threatened species list in New Jersey. Like Grasshopper sparrows, they're best suited to open grassy fields and seek out insect meals, though they're also content to make a meal of smaller birds and mammals like voles. 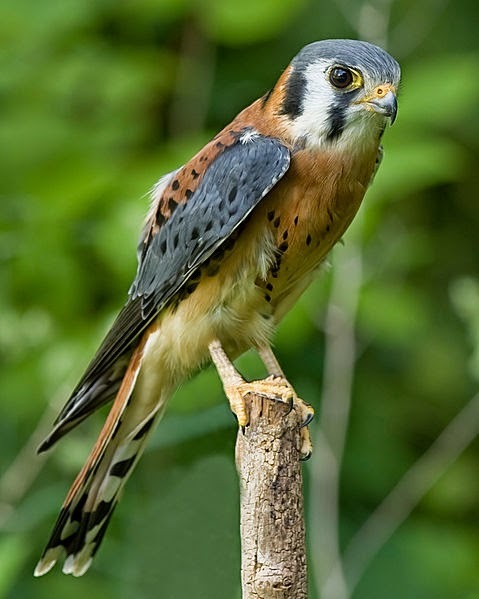 And though they're unable to dig out their own nest areas as woodpeckers do, kestrels lay their eggs and raise their young in natural or man-made cavities. You'll sometimes see kestrel boxes at the edges of cultivated fields, placed by farmers hoping for some natural pest control. The Negri-Nepote box, as I later found out, has had residents for a couple of years, thanks to the combined stewardship of the township, county and New Jersey Audubon. After observing the kestrels for a few minutes, we continued our walk down a mown path across the field, enjoying the black-eyed Susans, purple coneflower and other blossoms amid the grasses. It seemed that the life around us was waking up a little, or maybe we were just hearing things we hadn't before. Song sparrows called out from the perimeter, along with a striking male Indigo bunting as the Tree swallows continued their aerial strafing. The place didn't seem buggy at all, but they were hard at work. Buzz.... buzzz..... and flight! A small brown bird - right size, right shape - emerged from the vegetation, rising a couple of feet above the grass tips and darting a few yards to the right. Then it dove back down, impossible to see. But, as Ivan confirmed, it was our quarry: the Grasshopper sparrow. I, for one, was completely satisfied, and I think Ivan was, too, at least until Sunday morning, when he read the mocosocoBirds report of birds seen in Morris and Somerset counties the day before. Just a few hours after we left Negri-Nepote, another birder had spotted a Dickcissel perched in the trees not far from the path. It may be our perpetual luck never to see a Dickcissel there, but one good thing came out of the venture: the tick curse seems to have lifted. Apart from one hanger-on I found on my pants leg before getting back into the car, we left unscathed. That's gotta be worth something. A few months ago, we made a virtual visit to one of New Jersey's most obscure historic sites, the Ship John Shoal Lighthouse in Delaware Bay. This time, the imaginary cruise takes us to two other locations out of sight along the coast of Cumberland County, the Ship John Shoal's neighbors, the Miah Maull Shoal Light and the Cross Ledge Light. Together, they've helped guide vessels around the shoals, or submerged sandbanks, that create moguls of sorts, where ships could go aground if not for some skillful maneuvering and clear warning. Starting in the mid 1800s, the United States Lighthouse Board erected several lighthouses on shoals in the bay, using the screwpile method first and then the more advanced caisson style in later construction. Aside from their isolation, what made them fascinating to me, when I saw photos of them, was their diversity. Unlike the Great Beds Light in Raritan Bay, which is shaped more like a spark plug, the Delaware Bay lights were built in many different styles. Some even looked like houses of their day, albeit swept to sea and landed on firm platforms. The squat red Miah Maull Shoal Light gets its somewhat unusual name from a tragic event in the rich Down Jersey nautical history. Nehemiah Maull was a second-generation Delaware River pilot, son of an Englishman who'd immigrated to the New World in 1725. Despite his presumed navigational skills, Maull perished in a 1780 shipwreck in Delaware Bay, not due to his own miscalculations but someone else's. As the story goes, he was a passenger on his way to Great Britain to gather his share of family wealth when the ship went aground on the shoal that became known by his name. It took more than 120 years before the Federal government saw fit to mark the shoal with an aid to navigation. At the recommendation of the Lighthouse Board, Congress allocated funding in 1906 and 1907 for the construction of the circular, three-story caisson-style light, topped with a lantern room and anchored in a 400-foot diameter plot of submerged land on the New Jersey side of Delaware Bay. Foundation work was stalled by the original contractor's financial issues but was finished in time to host a temporary light by September 1909. Meanwhile, the cast-iron body of the lighthouse itself was being completed in Pennsylvania, finally being installed on the foundation, fitted out and entered into service in 1913. Oddly, the structure was painted brown at the start, which doesn't seem like the best choice for a lighthouse day mark, though it might contrast well enough in foggy weather. The Miah Maull's service history seems to have been rather mundane -- no big collisions, a lens upgrade, and the exterior paint change to red. After automating the light in 1973, the Coast Guard transferred the three-man crew to other duties, finally declaring the lighthouse as surplus in 2011. Like several other lights, including the Ship John Shoal and Great Beds, Miah Maull was first offered to non-profits for historic preservation, and then transferred to the General Services Administration for auction. It appears that despite two auctions, it's still hanging out there, claimed by no one but the cormorants and gulls that congregate there. As Miah Maull awaits its fate, it's still been faring better than one of its former neighbors. The stone platform of the Cross Ledge Lighthouse off Fortescue was once the foundation for a two-story wood-frame house topped with a lantern room. Built in 1875, its light was extinguished in 1907 with the opening of the Elbow of Cross Ledge Lighthouse. During World War II, pilots on bombing practice from NAS Wildwood used the retired light for target practice, dropping flour sacks on it to hone their aim. The house met its sad destiny in 1962 with a fire intentionally set by the Coast Guard, presumably to avoid vandalism to the abandoned building. Ironically, the replacement Elbow of Cross Ledge light had already been virtually destroyed during a 1951 hurricane and succeeded by an unstaffed beacon atop a skeleton tower. Getting out to the Delaware Bay lights is possible, but not an everyday opportunity unless you have a friend with a boat. A couple of boat operators run the occasional scheduled tour to a variety of the lighthouses, but if you're going to take that option, be sure to ask which locations they'll take you to. Not all will stop at the Miah Maull, Cross Ledge or Ship John Shoal, and there are others out there, some in Delaware waters. We've shared many aspects about the many heroic, though lesser-known aspects of New Jersey's Revolutionary War history. We've visited places where patriotic militias turned back the British, and other sites where the locals put up a good fight but ended up losing their homes. And we've marveled at the tenacity of the men who endured the terrible winter of 1779-1780 in the rough log huts of the Jockey Hollow encampment, surviving despite minimal rations, ragged clothing and, in many cases, without even the most rudimentary of footwear. More than two centuries later, it's easy to look upon the hardships and the outcome of the war, and assume that the men of Washington's army were some sort of saints who endured in the knowledge that they would emerge victorious. Grade school history books do nothing to tarnish that assumption, but we're talking about very human people put into an extraordinarily awful situation. The conditions were enough to try anyone's patience, and, in fact, some were stretched to their breaking points. Adding insult to injury, many hadn't been paid in quite some time, and newer recruits were getting more generous bounties than longstanding soldiers had gotten when they enlisted. By January 1781, the troops of the Pennsylvania Line of the Continental Army had had enough. Believing their three-year hitch was up, they left their Jockey Hollow camp to air their grievances with the commonwealth's Supreme Executive Council (effectively the group acting as governor). Long story short, the two sides ultimately agreed that the longer-serving soldiers would be discharged and allowed to reenlist, thus receiving the more generous bounty. One might say they were rewarded for severe insubordination, not something that military leadership would generally want to encourage. A few small markers at Jockey Hollow offer brief mentions of the Pennsylvania Line mutiny, but the New Jersey mutiny -- and there was one -- is a little harder to find. The exact location is in question, but you can learn about it on Newark-Pompton Turnpike in Riverdale, from a marker across the road from the grade school. Ivan found it: a small sign about the size of a "no parking" warning, that's labeled "Pompton Mutiny." Encamped near Federal Hill overlooking present day Passaic County, the soldiers of the New Jersey Line were just as destitute as their Pennsylvania brethren -- poorly clothed and malnourished. And like their cohorts, about 200 of the Jerseymen set off to air their grievances to the state government in Trenton. Hearing of the Pennsylvanians' success along the way, these new mutineers soon returned to Pompton, hoping for a similar outcome. Receiving none, they revolted again a few days later. This mutiny would end much differently. Once he received word of the revolt from camp commander Colonel Israel Shreve, General George Washington took quick and decisive action. A wave of mutinies would destroy the Continental Army even as Congress was working to resolve longstanding pay issues. Maintaining order was essential to a strong military, and an early example had to be set. He sent General Robert Howe and 500 troops south from West Point to quell the disturbance, with no allowances for negotiation. To further emphasize the seriousness of his intent, Washington ordered, "If you succeed in compelling the revolted troops to a surrender you will instantly execute a few of the most active and most incendiary leaders." That's exactly what happened on January 27, 1781. After surrounding the mutinous bunch and finding no further resistance, Howe selected about a dozen of the mutineers as a firing squad to execute their ringleaders, Sergeants David Gilmore and John Tuttle. In a letter to New Jersey Governor William Livingston, Washington portrayed the executions as an inevitable step in quelling the revolt: "The spirit of mutiny seems now to have completely subsided and to have given place to a genuine repentance. This was very far from being the case previous to this step, notwithstanding the apparent submission which the assurances of redress had produced; they still continued insolent and refractory and disobedient to the commands of their officers." Where, exactly, all of this occurred, is up for conjecture, perhaps fueled by the fact that the area known as Pompton during the revolution has been divided into four separate towns in the years since. Besides the Riverdale sign that caught our attention, another marker on Union Avenue in Bloomingdale claims marks the spot of the execution of two of the mutineers. Some say that the graves of Gilmore and Tuttle are somewhere on Federal Hill, marked only by the piles of stones heaped upon their final resting places.